Yoga for Relaxation | do yoga! In this year’s Stretch & Relax classes we’ll be taking a tour around the body seeing how each part feels for us on a personal level and also how improvements with one area can often alleviate issues in others… We will begin with our FEET which form the foundation o f our standing postures and which we rely on for our mobility and independence as we get older. Last Saturday I was at an ‘In Service Training’ day with the British Wheel of Yoga. The topic was Nada Yoga – which translates loosely to the yoga of sound. It was taught by Rajesh David, yogi and musician – you will have heard his melodies if you have been to one of our classes. Nada yoga is concerned with the essence of sound – the vibrations – and is studied and developed by singing and chanting. The idea very, very basically put is that you ‘tune in’ to yourself and the world around you. 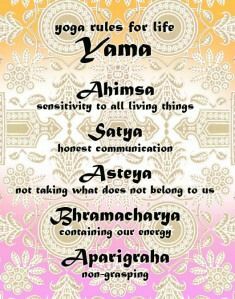 Yoga means to ‘yoke’or join together and all things have a vibrational quality when you get down to the atom/molecule level. Simply put, when everything vibrates at the same rate this creates harmony and balance. The principle is akin to lullabying a baby – we try to sooth ourselves and attune to the rhythm of vibrations around us. Om is very important in this field – our chanting at the beginning and end of each session is a way for us all to be in harmony. How does chanting Om affect you? Consider how you feel next time in class – is there a sense of being soothed – all the cells of your body vibrating at the same rate? Sitting still and simply observing your own breath or working with a Pranayama (Ujjayi, abdominal breathing, 3 part breath etc) are all calming exercises that will help you to get to know your own breath. Simple practices such as these help to relax us – body and mind – a relaxed body breathes better; a relaxed mind thinks clearer. I’d like to share with you ‘Natural Breathing’ a preliminary practice taken from Asana Pranayama Mudra Bandha. This exercise follows the ‘journey of the breath’ and gives us an excellent focus for a 10 minute meditation. You could easily record it onto your phone and then listen to it whenever you wish. Besides calming the mind and the breath, this practice helps us to learn the mechanics of the breathing process. Sit in a comfortable meditation posture or lie in shavasana. Do not control the breath in any way. Observe this with the attitude of detached witness. Next feel the breath flowing in the lungs. Shift the awareness down to the abdomen. 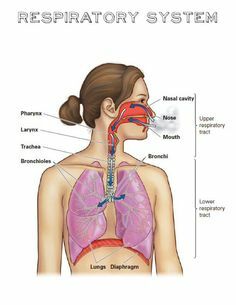 Feel the abdomen move upward on inhalation and downward on exhalation. Our relaxation exercises in the Beginners Yoga last term were inspired by the book ‘Learn to Relax’ by Mike George. 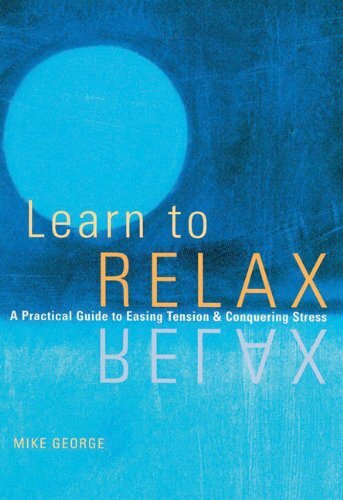 It is a very readable book interspersed with exercises to help reduce stress, live in the moment and relax. As you go further into the book there are sections on finding harmony in the relationships in your life, finding time for meditation and letting go of the past. I thoroughly recommend it to everyone as it has something to offer on those days when you may not feel like a physical or spiritual practice – perhaps you may be a bit down in the dumps, and it brings some perspective to your circumstances. Sadness, fear and anxiety all lead to stress and a physical tightness in the body. In turn this can lead to reduced breathing capacity denying your body and brain the vital life source (prana) which comes from oxygen. The result is illness and disease and we want to avoid that as much as possible. Our posture work will be simple, gentle and deeply nourishing. 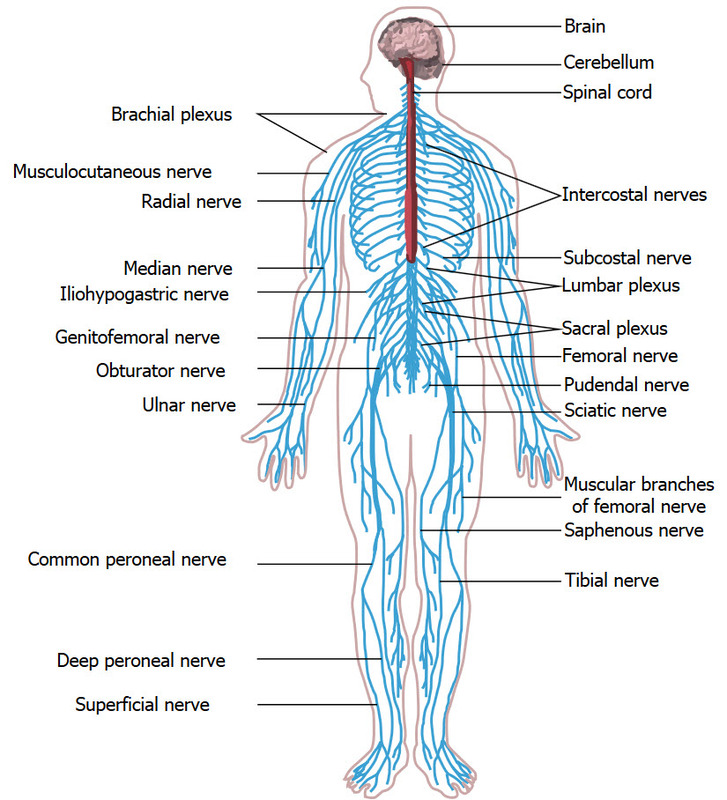 We’ll allow our focus to rest on how the body enjoys opening and relaxing into stretches. Working with the Bow (Dhanurasana) posture and Head to Knee (Janu Sirsasana) besides some floor Vinyasa work and standing balances. If you would like to join us this term, please get in touch here to book your place. 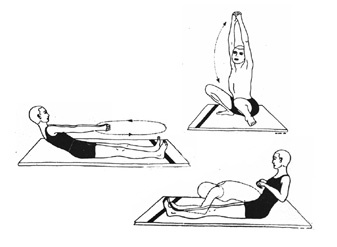 Sit on your mat with the legs outstretched. 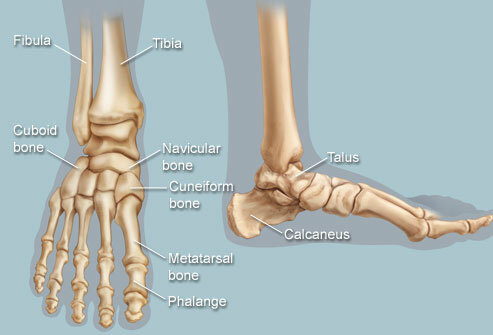 Carefully bend the right knee and place the sole of the foot against the inside of the left thigh. Carefully bend the left knee and place the left heel to the outside of the left buttock. Turn your torso to the right and take a breath in, as you exhale walk the hands down either side of the right leg, lowering yourself down over the bent leg. Fold forward as far as is comfortable, making any adjustments to the position of your legs. Relax into the posture for around 5 breaths before coming out on the inhale, walking the hands back upwards to return to an upright seated posture. Outstretch the legs once more and then begin with the left leg, carefully repeating the posture to the left side. 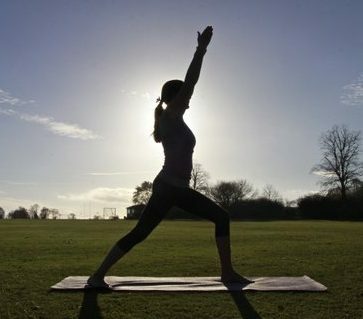 This is a great asana (posture) to stretch the back and pelvic region, it opens the hip joints and stretches the thighs. The abdominal organs are gently massaged (as you get lower down in the posture over time) which helps the digestive system. It is a great preparation pose for meditation postures, quieting the mind and opening the hip joints. Following our theme Bringing About Balance we will be working with Mantra to still the mind and relaxations to calm the nervous system – all good for us after the busy period of Christmas and New Year. Our asana will focus on improving energy flow in the body with the Shakti Bandha series. We will also be revisiting, chanting and reflecting on the Yamas to see how they may influence balance in our lives. This class is suitable for people with experience of yoga. There is no need to be super fit but an understanding of the holistic approach that yoga takes means that you would gain the most from time spent in this class. Please contact me here if you would like further information about joining one of these groups. In the Stretch and Relax classes this term we’ll have some time dedicated to our faces…. working with the muscles around the eyes, mouth and neck yoga can be used to literally give yourself a ‘facelift’. By toning the muscles of the face and giving them a ‘workout’ we improve the contours underneath the skin which can help to reduce fine lines and sagging. The circulation of blood and oxygen is improved and toxins are removed; giving a healthy glow to your skin. Don’t underestimate the power of our relaxations on your face too – 15 minutes of deep relaxation is said to be as valuable as 4 hours of sleep… and they don’t call it beauty sleep for nothing! We will of course be working around the whole body with exercises some old favourites (Trikonasana) and some new poses (Dwikonasana) to give you a complete practice ending with a deep relaxation. The term runs from Juse 6th to July 22nd and the cost is £42. If you would like to sign up for this course please do get in touch asap and I can let you know the availability.